"Useful software to create campaigns through email"
You simply need to drag mails inside the application so that they are stored inside the system. That speeds up the copying of emails within the application, since you do not need to waste time copying one by one manually. The templates available for campaigns are visually attractive and also have a striking structure for the user. Send newsletters or responses to users does not require much effort, you can create and send responses almost automatically without losing quality in the attention you are giving to the client. I would add more integrations with other applications in the future so that you could have more options to make campaigns even more complete with the union of several applications within the same system. I recommend Omnisend if you need a program that is simple to use and that at the same time allows you to add lists of clients, emails and create professional campaigns without having to have extensive knowledge. We now have customer lists and emails stored within Omnisend. In addition, every time we want to add new users we do not waste time filling out eternal forms, it is done by simply moving the email within the application. When we create marketing campaigns, we use the Omnisend templates and remain professional, which helps customers to see emails as attractive and generate greater profitability in our company, as they usually review them and click to get more information about this product and also about our company. Nothing really. All was good to me. Really easy to understand. What may be a concern in the future is having more templates. I don't think i saw any other email templates, even though the one that i am using is very clean and professional. "Amazing Marketing App would recommend to anyone who is looking at a marketing automation "
Have used so many marketing apps on shopify and this one is so far the best!! So easy to use. Definitely would like to see more things added to this app, like reviews and more widgets. So far i love it and we will continue to u s e t h i s product. I think the layout and how we dont need any coding to set this up is the best thing about this app. Its literally like a plug and play platform. Try it for yourself and see. You will not be sorry. I like using this program because it is very easy to set up. I immediately saw the program working people came to my website. Once I set up the different features, it was basically on autopilot. Setting up a database can be ver tedious but this was very easy and simple. The email that are send out are very professional looking. The emails are sent out at the right time as if you are interacting with the customer yourself. It is one less thing you have to worry about. Als the newsletter is really easy to use with the templets that are provided. There is nothing that I dislike about the program. Great program. They have a free trial so you have nothing to lose. Once you try it you will love it. The business problems that I am solving with the program are the newsletters, abandoned cart, welcome email. thank you email, etc. It basically takes care of all the correspondence you need to send to your customers. "Exceptional design and UI, not as many automation features as Mail Chimp"
I didn't like getting the rug pulled out on the "paid features" after the trial. I was barely started, it took me time to create them, and they were ended with a prompt to pay. I wasn't aware this was going to happen and I was soured on your company as a result. I spent a week telling people about how great your app was, how it was going to help my business grow, and how the service turns to paid features at scale. By then it will make sense to and I'll be happy to as the app is great and intuitive, etc. Instead, it felt like a bait and switch, especially when I discovered Shopify no longer supports MailChimp and some of the "paid features" on your service are available for free at a small scale (where I am) on MailChimp. Paid features are worth it if you are to scale, otherwise use other free services (if available on your sales platform) to get you there. Omnisend is very user friendly and the design is intuitive. Free features are limited compared to others in the industry, but paid features and UI are superior. I'm a one person team trying to get this up and running. The professional templates and atomization was going to be a huge help to get me to a point where I could justify paying for your service. It was unfortunate that they were ended as you had a loyal, vocal supporter of your app and I was looking forward to getting to scale to pay for the service. Instead, I was frustrated and looking to leave Shopify just so I'd have access to MailChimp. I love the way it integrates so easily with Shopify. Also, this is the easiest email software to use. Email marketing is not my strong point, but Omnisend makes it much easier and less time consuming for me. The best thing about creating emails with Omnisend is that I can easily and quickly add my products directly from shopify into the emails. Way less time consuming than adding products one by one or having to add in images and info seperately. The emails turn out looking great everytime and my customers seem to be engaging with them more than before. I can definetly see where this service will help me increase sales in the very near future. Haven't found anything so far that I don't like. This service is great and very easy to learn. Definitely give it a try. Just within the free trial period, you will begin to love it. Plus, if your just getting started, their free plan has a ton of great features. I am able to be more consistent with sending emails out to my list since Omnisend makes it so much easier than other email software I have used in the past. I have so much extra time to work on other areas of my business now. I also don't dread creating emails to send to my customers now. that you can view live stats to see where the traffic is coming from on your store and also their actions on the store, the pop ups are very good and customise able which helps a lot to get customers emails and the ease of use is up there with one of the best i have ever used. I had no idea about serving the visitors of my website an awareness that the shop has different types of discounts. So I used Omnisend on my landing page/pages and I showed the visitors that I have via Omnisend. What I liked so much is Omnisend gave me the idea to do this. I am very happy. Also Omnisend has additional tools to improve your everything on your website marketing. Most probably I will use these additional things to see how it will work on my side. For now I have nothing to dislike. I just started to use Omnisend and the basic solutions. I believe that I will not face any dislike things. The standart dislike is to be that if you go over standart package of use it is going to be expensive for customers like me. They can do additional usage prices. It is perfect for a start with Omnisend. The trial period is enough to decide to go on or not. I highly recommend that use it, follow the statistics and decide easily. To welcome to my visitors. And also what I was thinking to do on my website, Omnisend has the ideas and applications. Also it gives motivation to go further on some ideas to give awareness to the potantial customers if they visit the website. I believe that Omnisend will solve my e-mail marketing issue. I haven't tried yet but ASAP i will use it. "Better than anything else I've ever tried." I have been working in the marketing field for not a very long time, I've tried a few tools however. For a few months I've tried Mailchimp like most, however, after those few months there was pretty much nothing else for me to discover or to do. However after that I tried out Omnisend, an acquaintance told me about it. And I have to say it was Fantastic. Every issue is solved fast with their support, they communicate via any channel you try to reach out for them. And of course the best of all - features and the speed they present new ones. Omnisend is truly a versatile tool for any kind of user. Oh and they have spanish version! I really like having all my marketing channels in one, hope in the future something like that Omnisend will be able to provide. Make your life easier with it really. You don't have to be a professional to look professional. I had issues with newsletter templates, I am not a very artistic or a coder for that matter. With Omnisend I can prep templates in an easy manner. It really is only a few clicks, dragging or color change, but the result is always very professional. "Great product - helping FutbolMarkt get off the ground with outstanding Email Automation"
It is quite easy to use and intuitive. It is a quick learning curve and it helps with all of the basics that you would expect from Email Automation software. The number of automations they have is impressive and their integration with Shopify is excellent! Looking forward to continuing to develop it and using it more extensively for FutbolMarkt. Nothing yet, so far so good as we're still learning how to best implement everything. Have a look at all of their features. There is a lot, so it's easy to get lost - but well worth it if you utilize all of them! We're using Omnisend for email marketing purposes. As a startup this is hugely important, while we haven't realized any profits, it is because we're brand new and just starting out. "Finally - An Email Platform That Fulfills All Your Needs"
I've been using Omnisend for the past six months and and all I have is praises. I've been looking for a marketing platform that would have it all. And they do! Automation, signup forms, reports, popups, newsletters, boosting features... And you don't need additional platforms for such features as wheel of fortune for example. Also major props - fantastic support, they are easy to reach and very helpful. Omnisend just has this very youthful and smart view when it comes to business and their own platform. They are always looking for ways to improve, listens to customer complaints and comes up with new and awesome features in short periods of time. Not much to dislike really, only maybe I'd like their upcoming features to be live NOW, just because I can't wait that long haha. Try it out for free. They have that option, in that period try out as many features as you can. I bet you will love the tool instantly. Also the price is great for what they offer, plus they do discounts from time to time, you just have to look for them. Mostly with other tools I always was missing some kind of feature that was essential to me. Maybe their automation workflows we're poor, maybe they didn't provide quality report tools, maybe their support was non-existent. With Omnisend I have no troubles yet. "Have been using this software for over a year now & very very happy"
#omnisend is awesome! I have been a customer now for over a year & been very happy. I shopped around a lot and tried out several different platforms, but honestly have found Omnisend the most user friendly, cost effective maketing software which takes care of all your online marketing. To be honest, there isnt any issues with this platform that I can report on. Any issues we have had, the support you get day or night from Omnisend is second to none. They work quickly to fix any issues & ensure you are 100% happy once its fixed. I would recommend trialling the product, as you wont be disappointed , its so easy to use & integrate into your site. You wont need any other email makerting software. This software is cost effective and fantastic to use. We have used Omnisend for our email marketing, its amazingly easy to use and quick to get a grasp of. I use shopify & it links in with my site & you can select products from there, which is one of its best features (as all other platforms I looked at you had to manually upload all products and links), I use it to collect email addresses on our website, and for re-targetting / abandon cart emails, which are super effective. Omnisend is an amazing platform when it comes to marketing automation. A very flexible, easy to use interface combined with affordable and fair pricing becomes a professional and desirable marketing platform - which omnisend is. I advise any future marketers to look into Omnisend - You will not be disappointed. I am a perfectionist from start to finish and when creating campaigns sometimes I am met with small difficulties but all in all, nothing too serious. Omnisend is very easy, and the result is very good, try it. I've never tried automation before Omnisend simply because I found it too complex. As a person who tries to keep as much information in their head as possible I simply to not have the time, nor power to keep up with different kinds of advertising opportunities. Automation was one of them, but with Omnisend and their easy to set up auto flows I began to introduce automation into my campaigns and I can safely say - it is truly great. "Who knew marketing can be this much fun?" 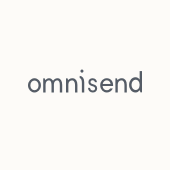 Omnisend is not my first email marketing application, I had a few before and after having a mediocre experience I started to look for something new and perfect - and I've found it - Omnisend. And now, Omnisend is taking a newer and better approach and going to marketing automation field which is fantastic. Omnisend has a very fresh and great approach to marketing, they suggest new and interesting features that actually work, I appreciate to have this very amazing marketing tool a part of my business, I do feel it helps me and makes my campaigns much more successful. They could provide a longer trial in my opinion. Sometimes a month is not enough to experience all of their features simply. My main issue is this - how much do I bring and how much do I get and my own goal is to invest a lot less and get a lot more, and with Omnisend I feel like I actually managed that. I was able to get a whole variety of features (we're talking marketing automation - welcome, birthday, cart reminder emails, we have segmentation, we have A/B testing, we even have SMS!) for a very little investment. I think the starting price is somewhat 8 or 12 dollars. It depends on what you need and your contact base. "Omnisend is a premium triple-A E-mail service. It pays for itself tenfold." Omnisend offers the ability to effortlessly create e-mail list segments based on factors such as country, or how many orders the user has placed. This means I can better target my customers without an onslaught of manual data entry. This is especially effective when creating tiered VIP lists or special offers to specific customers. I also send different e-mails to different countries as marketing needs to be as tailored as possible. Especially useful when offering a seamless experience via price, shipping times etc. Cannot preview e-mails for different devices meaning the default preview isn't always accurate. A free service is great until you want to be serious about your business. If your business doesn't want to be considered a hobby, Omnisend is the way to go. Simply amazing app for managing everything related to your email marketing whether it is card abandonment or newsletters this thing manages everything well. Newsletter creation is a single step easy to use feature of this product. Best application for the people who have little time to manage all things at a single stop. The interface can be made much better, but that's user perspective. Functionality is what is needed by the store owner the most. This is a one stop solution for all of your marketing needs. Everything can be automated related to your promotions. We are trying to solve the cart abandonment and newsletters for our subscribers so that our user base can be updated with every new collection which is released on our website. "Best marketing automation for ecommerce business"
It's all in one experience which means that you don't need to use many other tools for marketing your online store. Omnisend has not only regular newsletter campaigns, signup forms, segmentation option but also powerful automation that they keep on improving. I especially love their most recent order updates that allow you to send confirmation notifications. Nothing so far - they keep adding new features every month so it's getting better and better. Make sure you're using all Omnisend features, this way you can benefit the most as info about your customers is synced and in one place. I've started with forms but then added automated workflows like Welcome series and Cart Recovery and I see how this is giving my business way better results. So much better experience than confusing Mailchimp. Marketing automation is such a must for every online store so I'm happy I've found Omnisend which covers all my needs in this area. Even more, they say they gonna add even more channels in their automation workflows this year so it should be even more powerful. Can't wait! "One of the best mail services"
amazing customer support and email templates. I like the idea that i can setup a quick email chain by following a simple wizard. i have experienced emails ending up in junk or spam folders but it has been inconsistent. I can't put my finger on what might cause this but it is a concern never the less. for Top notch customer support and great feature set , you'll need to give this product a try. I have tested other apps and Omnisend has by far been the best one yet. I am utilizing an email capture form to expand my email list , i also use the service to send follow up emails to customers. "A new way to email"
What I like about Omnisend is their modern formatting. It is easy to use, complimentary to my business model, and it is visually appealing. I would like to see an app for mobile maintenance as well as a better link for email list sign ups. I would highly recommend Omnisend to anyone who appreciates a user friendly atmosphere with great technical support and analytics! When I first began using Omnisend, I found it easy to navigate. I was expecting to spend a long time familiarizing myself with the product; instead, I quickly acclimated and was able to send my first campaign with ease. Another amazing feature is that Omnisend doesn't have any hidden tricks. With many sights, you feel things are simple to operate but they are laced with hidden agendas. Omnisend is straight forward, and on its way to great success! With Omnisend I am able to expand my reach, which enables me to stay in contact with my audience and maintain consistency. Something I admire about Omnisend are the analytics. I like being able to see the growth of my campaigns. "Email Marketing Made So Simple"
My favorite things about Omnisend are the ease is use and user friendly design that they bring to email marketing and and email capture methods. As someone with a new company, you always appreciate free services that offer so much value while also enhancing your web site and marketing abilities. Thanks so much, Omnisend! Of course, you always want the extra features, but when you are starting out, it is not always feasible to allot money to certain things immediately. I appreciate the opportunity to share an honest review. My main problems that I am currently solving with Omnisend are email captures to start building an email list and actual email campaigns. "Really like Omnisend (more than Mailchimp)"
I like the interface and workflow more than Mailchimp.It is easier to plan out scheduled/automated workflows in a more visual way. I appreciate that campaign templates include workflows, nit just email designs and the template copy is a useful jumping off point to write my own stuff instead of just latin nonsense. The forms are solid too. I'd like integration for free with Facebook. Mailchimp offers this so I am still using it to collect on FB then importing into Omnisend. A pain, but what can you do. This is an easy to implement product and it integrates with Shopify. driving interaction and building an email list. "Best eCommerce email platform for small biz"
Easy to use, has all the bells and whistles I could want. Automatic marketing flows, timed pop ups, beautifully designed and customizable forms, straight forward reporting, easy importing of addresses. It's all here for the same price as the other guys, and way more user friendly. Built specifically for eCommerce. I've used MailChimp & Campaign Monitor and this is by far my favorites. Free trial up to 15k emails a month or max 2k a day, after that it's $10 a month. That I didn't find it sooner and that more people aren't talking about it. I swear I don't work for them, I just really appreciate this platform. This is an amazing eCommerce email platform. I can't believe all it does for $10 a month. Building our mailing list, sending out coupon codes for signing up, automatic cart abandonment emails, marketing campaign emails, newsletter, entry, exit & timed sign up pop ups. "Easy to use but little ROI"
I find your templates and features relatively user-friendly and that I can easily sync my products into my pre-saved templates or new campaigns. For the low innovation, conversion rate and ROI in the emails, the pricing is extremely high. I can use the same features in MailChimp for free for up to 2000 subscribers and they are constantly adding new features and allow you more creative freedom within their platform. If you need an easy low-level way to reach your customers with an app that you can administer right in your platform, then Omnisend is suitable. Time efficiency by using an app directly integrated within my store. I just sent my first email marketing campaign with Omnisend. I was pleasantly surprised at the intuitive navigation, flexibility and editing tools available. I would highly recommend this solution to those seeking an efficient and user friendly email marketing campaign solutions provider. I'll likely explore more features on my next campaign as I review additional functionality. It is very easy to use wherein there is an automated template and flow you can select for you to easily send an email to your customers! "Simple to use. Useful features. Powerful platform for my business"
Main things are fine, we are happy about Omnisend. As we are active on FB, would like to get Facebook Custom Audiences sync faster. With Omnisend we are many years, since their were Soundest. Interesting to grow together with them, They are strong and on time of implementing new features. While we use Omnisend platform we are focused on target thing. We are on time when sending emails for abandoned cart recovery. also it is nice to use pop-ups to get new subscribers. It is nice not to much disturb visitors while their browsing our store or subscribe for getting news (according to their suggestions). Thank you for templates - their are cool. "Best Exit-intent popup and mailing app for Shopify!" Automate your welcome and abandon cart emails! Plus get an amazing exit-intent popup! Also you can create multiple automation emails with a few clicks! Very nominal fees and amazing app+support! Nothing at all. The only thing I can suggest is also give an option to select the device targeting for a form i.e. mobile or desktop. Right now we can only check "show on mobile" yes or no, but if I want a different form for mobile and different settings for desktop that's not doable. "Perfect for beginners trying to expand business"
I love how simple it is to set up a landing page or set up automating emails for new customers who sign up. I also like the information it gives based on visitors and who subscribed. I also like the different types of campaigns I can pick. I dislike the limited landing page options, and i cannot change the color of the font based on different background color. I highly recommend it for a beginner that is new to e commerce and marketing. How easy it is to get leads and customer emails. How easy it is to keep track. How easy it is to get started. Compared to the rest of platforms I've tried, you really need to "learn" the interface and the whole set up process to get something out. Not with Omnisend. Newsletter templates and automation workflows come out-of-box, which helps to start in minutes. At the same time, Omnisend is powerful enough to customize email content in any way you want, so the platform feels balanced for speed and customization. More newsletter templates would be nice to have, yet no major complains. I would highly recommend Omnisend to any ecommerce business. One of the best email marketing platforms in terms of cost/benefit. The biggest advantage Omnisend gives to my business is the ability to manage everything in one unified platform. I finally feel like I don't need to use multiple platforms to manage subscribers, customers and newsletters, as Omnisend handles all the marketing pretty well. "Omnisend continues to improve & grow"
Although they're adding 3rd party integrations at a decent rate, they're still behind some of their competition in that aspect. Give them a try, they have a free trial. Bringing our fragmented email marketing program under one roof. We were previously using one provider for our main marketing emails and another for transactionals. "Provides professional emails & very easy to use to send emails to your customers"
When I go to my subscribers, I have to go from page to page to see everything, I would like the ability to search by date or newest subscriber, will save a lot of time. I would tell them its easy to use, I have had no problems and campaigns are very professional and makes the emails look really nice, really no confusion using it either. Reaching out to my online customers, some apps I had difficulties using and got frustrating to use, this is easy and can reach out to my subscribers. "Omnisend is the best marketing automation platform I ever worked with"
Omnisend is an amazing ecommerce marketing automation platform. With this tool I was able to boost my sales, help my business grow, increase my subscriber userbase. Omnisend has amazing automation workflows that makes manual work easier than ever. You can send out welcome emails, thank you emails, birthday emails and of course the best ones are cart recovery emails. They helped me gain extra 15% of sales. Also, Omnisend is very easy to navigate trough, the dashboard is simplistic, UI is comfortable and you don't need any extra coding knowledge to work with their provided email templates. Omnisend 10/10 will continue to work with it. I don't dislike anything particular or of an importance. Had some questions that we're disputed very fast with the help of their support team. Omnisend is a fantastic ecommerce marketing automation platform for those who are simply have no time for manual work and want sophisticated automation workflows. With Omnisend it is very easy to do. The platform is comfortable to navigate trough, dashboard is excellent, support is helpful, friendly and fast and of course their other features like newsletter editor or product picker are to die for. Made my life so much easier. My main problem was that I wanted to increase my sales, as well as, brink visitors back. When it comes to sales a big part of website traffic leaves without making a purchase. I was looking for a professional and sophisticated automation platform that would help me solve this issue. And with the easy Omnisend integration I was able to do that I a very short period of time. Now my work is easy, fast, simple to do and generates me higher revenue than before. I'm still trying out many of the features but i do enjoy the automation features it provides as apposed to drip, much better so far. Hopefully they don't get so bold as to overcharge and put "powered by omnisend" on everything. Have this, its the best as for now, but also have a plan B.
faster workflows and automating a lot of needed production jobs. It' also helps with our analytics and implementing new features based on those analytics. "Omnisend is awesome! Best email marketing software for the price." Great for small and new businesses! Omnisend takes care of abandoned carts, marketing campaigns, and sign up forms. We've seen great improvements in all of these areas since switching to Omnisend. Its really helped us at battlepatches.com to keep in contact with our growing client base. I love how user friendly it is. I literally can reach all my contacts in a matter of mins, with fresh modern and a professional looking email. Overall I love the app. My rate increased a little more then I planned this year, without any notice so I think contacting us with an updated pricing structure or a discount for clients who have been with you longer would be nice.. id love to see some more template designs. Its helped me grow my business, by streamlining my emails and marketing. It is easy to figure out without assistance. It allows emails building based on the purchase item from your store. I think it should also provide pop ups with exit intent and features like the Privy App. Give it a shoot. I have not used their SMS service because I have another provider for that, but Omnisend has cheaper sms rates, but not the SMS Bump App great option features. I will realize personalized email targeting. I love the easy understanding platform. Its simple to understand! "Very simple to use, so many options in one app - AMAZING"
The best in the industry of email marketing , has a lot of features , I especially liked the automation features , those are great and helpful to push more orders into our store . It helps me perfoming cross sells , fancy order confirmations , now I have no benifits cause my business is stil growing , my experience also . "Easy to use & many useful features"
Many useful features which I can use with only one tool. The best thing is, I can send not only emails but also SMS campaigns. That helps a lot in my daily communication with clients. It's hard to name any. Maybe, at first not all new features were working properly. However, they considered my remarks and fixed problems very quickly. Hats off to their support! My main goal is to communicate constantly with my subscribers. Omnisend has many automation abilities, SMS and email campaigns. Therefore, contacting my customers has never been easier. "Behavioral triggered emails increased my ROI"
After some ecommerce marketing courses, I understood that instead of focusing on customer acquisition , I need to spend more time by trying to increase conversion rate in my e-shop. I tested 7 different email providers and I picked Omnisend. They support team even helped even with some strategies for automation workflows. I recommend for all ecommerce business owners to start using Browse and Product abandonment functions. I increased my ROI by 11 % in two months. The possibility to copy-paste created automation workflows will save time. Just get free trial and test all prepared automation workflows. This can bring for you ideas how you can better communicate with your visitors. Previously my all emails were the same for everyone. I have different communication approach based by visitors behavior today. "Marketing automation I was looking for"
I love how robust and flexible it is. They do have prebuilt templates, workflows and other stuff but they also give you all the opportunities to customize the things and that makes it really powerful. I started from simple automation workflows like Welcome and Cart Abandonemnet but then we moved to more sophisticated custom scenarios. There's nothing I dislike - they keep on adding new features or updates and that's really great. Give it a try and start with automation from the first day so that you can feel the benefits during the trial. Automation is the key in today's business. So I was looking a tool that would allow me to do that and that would also give me some room to grow. As Omnisend is not just marketing automation but they have this omnichannel approach, I'm sure that I'll be able to start using other channels and integrating them into my marketing mix whenever I'm ready. easy of use and integration w/shopify at a reasonable cost. We were using a large competitor that was easyish but got expensive. I'm actually pretty happy. Everything I wasn't sure about seems to be easily fixed when I start poking around a little. Go for it. Cheaper than CC, more user friendly than some of the cheaper/free options, good data/analytics, and easy implementation without third party apps required to link. Weekly menu updates for our Farm Market. Omnisend was really easy to set up and use. I saw results right away with the Live Report of my site. This information helped me understand the strength of the Facebook Ad I was currently running and typical daily use. The Ad really did push people to my website! Also the newsletter and forms were a snap to set up. I highly recommend the free set up call they offer. I wish there was a way to retarget customers who visit the website but who don't leave an email address. Understand how data capture works. Omnisend makes the best use of the data that is abled to be captured. How traffic flows on the site. "Fresh player in the game!" So happy to have found Omnisend. I love their segmentation feature and their prices. Very fair, what you pays is what you get they say, with Omnisend what you pay is a lot less than what you get wich is a lot. Not once I got lost in the amount of the features they have. Try it out you will not be dissapointed. I used to have a problem of simply not being good enough, which is a personal problem right? Well Omnisend helped me solve the problem and not only solve it but become a professional marketing automation and email marketing specialist all because their app is that professional. But still - superb marketing automation features, they even have birthday email feature!! IT is fantastically converting for me. "Best Email Marketing Service Ever!!" I love having a partner who I can trust my business automation everytime I launch a campaign. Would be better to have a drag and drop builder for popups or more styles to choose. Also, a little bit confusing when designing a new one. I would definetly recomend you Omnisend, super easy tool for Marketing Automation. Automatization is really easy, you know, welcome drip emails and even abandoned carts are more easy to recover and much more!! "Great took for a small business!" I got so much great feedback from my customers about the newsletter I mailed out via Omnisend! They were super impressed with the quality of design. Really nothing! It took a bit to learn all the small details, but overall, it was great! Trying to reach ALL of my customers. Some social media platforms are making it increasingly difficult to do business these days so I knew I needed an alternative. "All in one marketing tool!" The e-mail templates are easy to use. It has also offered a free trial. And recently they have added e-mail templates and automated marketing tools which will make Omnisend a one-stop marketing tools. The price package is too high for small business that have just started. Omnisend is easy to use and offer free features. "Much more professional than MailChimp"
Our campaigns are performing better and better, so the value we get from Omnisend is increasing more each month. 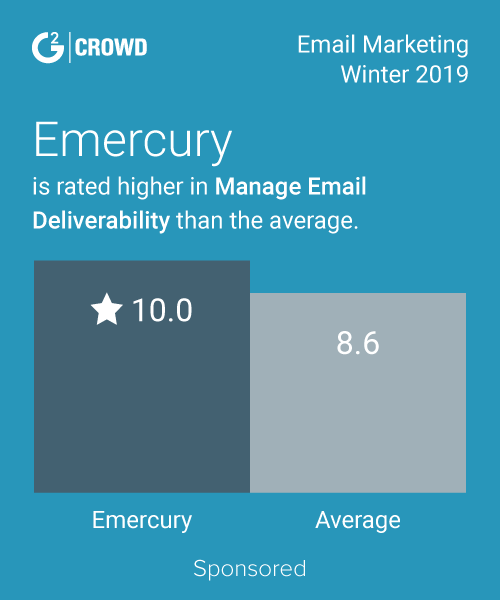 We compared the deliverability rate with other providers, and we were getting a better result from Omnisend. We'd been using MailChimp previously, but it was pulling teeth to get any kind of support, so we had to sift through forums to find information. Even when we were testing Omnisend with a free plan, we had 24/7 support. The design is really intuitive, and their templates were ready with just a few tweaks here and there. The app looks a bit old-fashioned, but its both powerful and easy to use, which I think is more important. I would definitely recommend Omnisend. It's really easy to use and it makes setting up complicated email flows really simple. There are tons of ways to target and segment your lists too. They also have customizable tags you can add to your subscribers, so you can really target based on anything that you want. I think it could work for a variety of business models, but you can tell it's made for ecommerce. Omnisend let's us automate complex email flows for our customers. This means that none of our customers are falling through the cracks. We can send abandoned cart or welcome emails depending on where the customer triggers. "Highly recommend to use this tool for your business"
It is a professional platform that I would highly recommend to use. I really like its features, functionality and automation workflows. Previously, I used another platform, but this one is definitely the best! It is easy to navigate through the platform and learn how to use all features. They own a huge “knowledge base” which contains a lot of useful and updated information. When using automation workflow, you will notice that large part of manual work is done automatically. I strongly advice to use Omnisend, you won’t regret it. I would suggest to create some more templates. It would be a benefit for some businesses who do not have a graphic designer and want to distinguish from competitors. Omnisend is a professional platform that I would recommend for both professionals and beginners. It helps you to save time, because automation workflows can “do” big job for you. It really helps to strengthen brand, create more sustainable communication with clients and also increase sales. Finally, price for this product is really fair and it is worth 100%. Huge benefit is that you don’t need to have many different apps or programs. Omnisend offers you all important tools for successful marketing in one place. Also, you can check your sales results in “live view”, use many newsletters which create value for customers (like special discount coupons, gift boxes) or use other important tools while interacting with your visitors. All in all, there are much more benefits to try. "Best email marketing tool hands down"
I love that this tool allows me to use data from my online store sells to target and retain customers. This platform has been an invaluable tool in the relaunch of my web store. The ability to target the right customers to communicate with using a broad set of tools available to me 24 hours a day. Product Picker, scratch card and gift box works great! Subscriber migration service is very easy to use. The support team is very co-operative and helpful. The new Facebook Custom Audiences help us to leverage our business goals, targets and goals. Some times the product picker doesn't work. Omnisend is a great channel for Email Marketing! It is clean and simple to use. The product picker and other widgets offered by Omnisend helps a lot in building great emails. We're using Omnisend to engage the audience and retarget the existing customers with offers and new trends. * We monitor all Omnisend reviews to prevent fraudulent reviews and keep review quality high. We do not post reviews by company employees or direct competitors. Validated reviews require the user to submit a screenshot of the product containing their user ID, in order to verify a user is an actual user of the product. Hi there! Are you looking to implement a solution like Omnisend?